After a series of reckless events and public scandals, Justin Bieber could be breaking away from Los Angeles for a quieter location – Michael Jackson’s Neverland Ranch, to be exact. 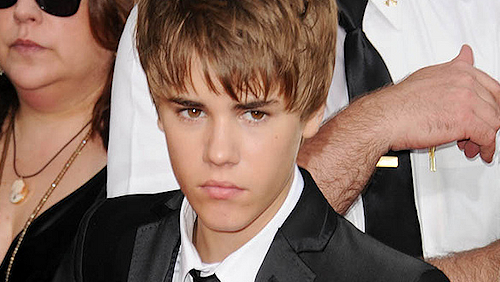 In recent months, Bieber’s once wholesome image has been tarnished, leading many to “question his mental stability”. News.com.au reported that after a series of incidents, including a pet monkey search that delayed a private jet in Miami for more than eight hours, and accusations that he spit on fans from a balcony in his Toronto hotel room (which his representatives solemnly deny), the 19-year-old star has been urged by his manager to go to rehab to put a stop to his out of control partying, drinking and pot smoking. 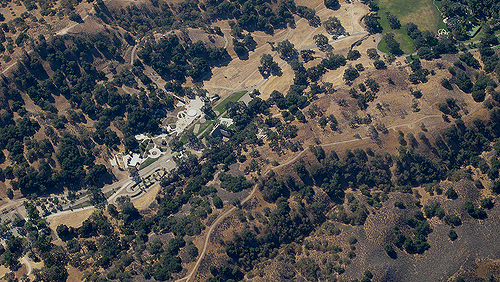 It seems that a change of scenery to Los Olivos, California (a two hour drive from his current home in Los Angeles) where Michael Jackson’s ranch is located could be just what the Biebs needs. According to an unnamed source quoted on News.com.au, Bieber is desperate to live in the King of Pop’s former home, and has already sent his real estate team to check it out. It is presumed that Bieber wants to feel a connection to the legend by living in Michael Jackson’s house – and he’s not the only celebrity with this idea. Lady Gaga told the public she wore Jackson’s old clothes while recording her new album. Bieber’s Michael Jackson idolisation has long been known, and he even recently leaked an imaginary duet of Jackson’s “Slave to the Rhythm”, where he sings alongside Jackson’s already recorded vocals. Michael Jackson’s house has been for sale for several years – and has remained vacant since 2005, four years prior to Michael’s death in 2009. The 300 acre property has been poorly maintained over recent years, but thanks to the efforts of Michael’s children, Prince, Blanket and Paris, the grounds have undergone a major revamp. Bieber isn’t the first celebrity wanting to buy Jackson’s mansion – there have been rumours that Lady Gaga was looking to buy the property, and earlier this year it looked as though Jay-Z and Beyonce were set to add Michael Jackson’s ranch to their property portfolio, but those plans never eventuated.